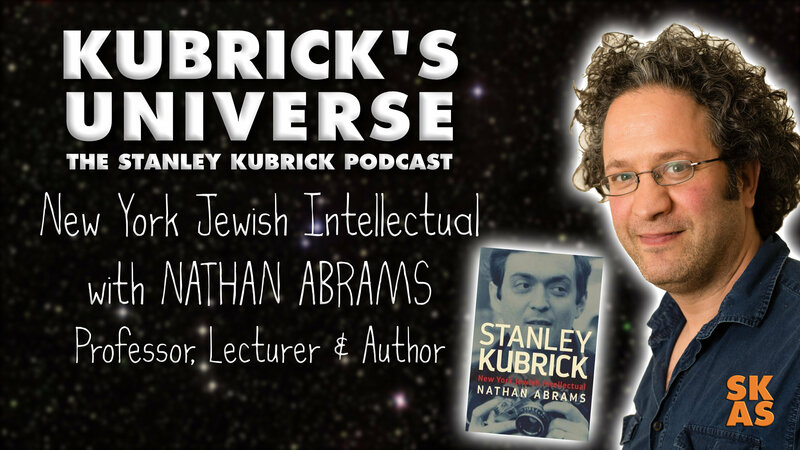 09 Nathan Abrams : Professor Nathan Abrams talks about his new book Stanley Kubrick: New York Jewish Intellectual. Nathan Abrams is Professor in film and Director of Research for the School of Creative Studies and Media at Bangor University in Wales. Nathan also lectures, writes and broadcasts widely on UK and American popular culture, history film and intellectual culture. He co-founded Jewish Film and New Media: An International Journal and has also written several books on the subject of Jewishness in popular culture including; The New Jew in Film: Exploring Jewishness and Judaism in Contemporary Cinema (2012) and Hidden in Plain Sight: Jews and Jewishness in British Film, Television, and Popular Culture (2016). He is currently finishing work on an upcoming book for 2019 titled Eyes Wide Shut: Stanley Kubrick and the Making of His Final Film but it’s his current book, just released Stanley Kubrick: New York Jewish Intellectual (2018) that he is talking about in this episode. The following interview with Nathan is being conducted by Rabbi Dr. Raphael Zarum at the launch of his latest book at JW3 in London on the 26th April 2018.